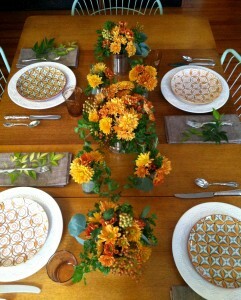 She used cut leaves from Nandina because they stay fresh long after being cut. I like the way she incorporated nature in the design and simlicity. This is a simple DIY project you can do with little pumpkins purchased at the grocery store. 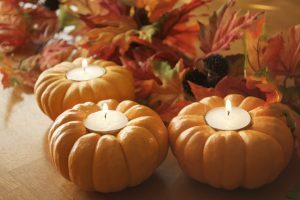 Use unscented tea lights on the dinner table so the smells of your cooking are the star. This is an idea captured on Pinterest. Unfortunately the website wasn’t identified but you can still enjoy the design. Once again this person concentrated on nature and simplicity. 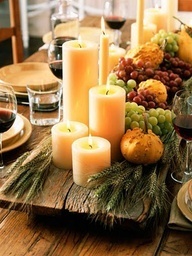 I like this table arrangement because it was one of the few who used bold color not traditionally used at Thanksgiving. Kudos to them. 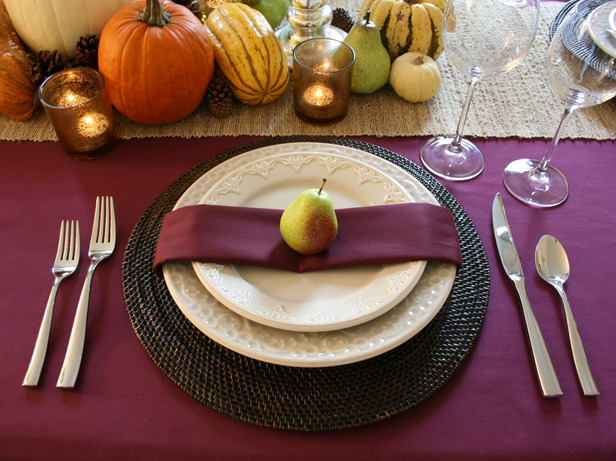 Enjoy setting your table this week and stay tuned for the next blog.